Late style, on the other hand, refuses death and refuses the world outside art. Chabrol, Rivette, and Rohmer might be thought of as timely in this sense. But there is a filmmaker equally timely, old, and French Quandt leaves out: Agnès Varda. Quandt is using Said to set up a collective straw man. The idea that Around a Small Mountain is small is the point for Rivette, and much of Rohmer’s late work was, as Quandt has to admit, innovative, while the only conclusion I can draw from what he says about Chabrol is that it must be based solely on his final film, Inspector Bellamy, which stars a particularly fat Gérard Depardieu. His misreading of the films seems willful; his misreading of Said, less so. Said contrasts late timeliness (what Quandt ascribes to Chabrol, Rivette, and Rohmer) with a late style that works as refusal (Godard, for Quandt)—but timeliness isn’t meant to be small or simple or even complacent. When an artist late in life is timely, Said says, his art “stresses ‘reality breaking through’ in the form of history or the artist’s sense of his impending death.” Late style, on the other hand, refuses death and refuses the world outside art. Chabrol, Rivette, and Rohmer might be thought of as timely in this sense. But there is a filmmaker equally timely, old, and French Quandt leaves out: Agnès Varda. Varda is a contemporary of the directors cited by Quandt, and though she’s often associated with the Left Bank group of filmmakers that includes Chris Marker and Alain Resnais, her first film, La Pointe Courte (1955), is widely considered a precursor to the New Wave of Godard, et al. She is certainly as amiable in her old age as Chabrol, Rohmer, or Rivette—if not more so. In recent years, Varda has made something of a name for herself as a confident and quirky old artist, even publicizing her 2003 Venice Biennale installation Patatutopia by walking around in a potato costume. People love to note that she’s had the same hairstyle for half a century: a bowl cut that she usually dyes a sort of burgundy, sometimes with a few inches of gray roots. And it’s become something of a cliché to remark that her grandchildren call her “Mami the punk,” that she is full of energy at 83 years old, and that she is tiny, eccentric, and sharp. Amiable as she is, though, she has yet to calcify—or, as in Quandt’s reading of Chabrol, go soft. Hers is a timeliness that we’d be wrong to interpret as anything but forward-looking. Varda is known for her compositional skill; she began her career as a photographer and makes just about anything she shoots interesting. In the 1950s she was the official photographer for the Théâtre National Populaire in Paris and the Avignon Festival under Jean Vilar. She treats her subjects, no matter how melancholic or unconventional, with dignity and humor. She is also a profound advocate for the archival capacities of cinema. This is a mode of filmmaking that we shouldn’t confuse with documentary: the difference is one of dimension and temporality. The documentary is oriented toward a past. It tries to crop that past into a finite narrative. The archival film, on the other hand, provides us with an accumulation of information. Neither the filmmaker nor the viewer hopes to comprehend a film or its subject in its entirety because archival cinema captures what is ongoing. Varda’s sense of film’s archival capacities has changed over time, and her most ambitious work dealing with the relationship between cinema and memory is also her most recent. It comes after the death of her husband, Jacques Demy, but also out of a half century of treating filmmaking as a hybrid medium: structured and compiled by the labor of individuals, but also moving constantly—if subtly—between archival document and fictional narrative. 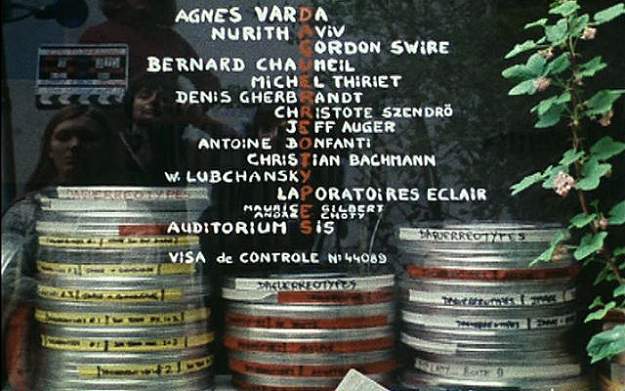 Varda’s 1976 film Daguerréotypes is her best early hint at what’s to come. It starts with a magician standing directly in front of the Eiffel Tower. With his wand and top hat, he looks like he could have stepped out of Max Ophuls’s Lola Montès (1955). But instead he’s conjuring a film about the people who work on Varda’s block in Paris. Opening his cape wide, he smiles. A male voice off-screen narrates, “Ladies and gentlemen, I have the honor to present a film called Daguerréotypes. A Daguerreotype is an early form of photograph.” The camera cuts to a shot of film canisters, which are marked “Daguerréotypes.” It takes a few seconds to realize that we’re looking at a shop window and that the canisters are behind it. Varda and her crew are reflected in the glass, and the credits are superimposed over this image. The narrator gives a brief history of the project (“this film was shot in 1975 in the Rue Daguerre in Paris”) and then reads the credits aloud. There follows a shot of an elderly couple in a shop called the Blue Thistle. Varda narrates: “It all started because of the Blue Thistle, an unusual shop near my house in the Rue Daguerre. I like its windows. One breathes a forgotten air, a scent of suspended inventory.” Her camera rests on the woman in the couple, who is looking out from a window display that hasn’t changed, we learn, since the 1950s. “Madame Blue Thistle, with the meekness of a captive, fascinates me more than the shop where her husband makes his perfumes.” The inevitability of forgetting will transform the structure and style of Varda’s late work, but in Daguerréotypes it is distilled in the problem of representing Madame Blue Thistle. Formerly an active presence at the shop, now she can hardly remember her own name. She mostly stands by the window and watches passersby. A constant reminder of the deterioration that comes with time and labor, she is a sobering counterpoint to the charm and comprehensibility of Varda’s hardworking neighbors. Along with Claire Drouot’s character in another one of her best early films, La Bonheur (1965), who drowns herself in order to allow her husband’s mistress to replace her, Madame Blue Thistle is one of Varda’s female figures for forgetting. These scenes—first the credits, then the introduction of Madame Blue Thistle—reveal two competing and complementary impulses in Varda’s approach to cinematic labor and memory. She wants to document memories through a medium that is at once fantastic and labor-intensive. She has long combined the thrill of getting things on film with an acknowledgement of the work it takes to do it: she reads the credits in Daguerréotypes, has Corinne Marchand look straight into the camera in Cléo de 5 à 7 (1962), appears as the director of her own film in Lions Love (1969), and eats with her assistants in The Beaches of Agnès (2008). But with Madame Blue Thistle she also acknowledges the parallel between the mind that loses memories over time and the photographic medium that deteriorates with every use. For more than thirty years, Varda was married to Jacques Demy, the director whose musicals The Umbrellas of Cherbourg (1964) and The Young Girls of Rochefort (1967) established him as the most exuberant, playful French filmmaker of the Nouvelle Vague era. He and Varda split for a few years in the 1980s. They got back together, but he died of AIDS in 1990. It’s a fuzzy part of Varda’s history—for a while, no one was meant to know how he’d died, and even now Varda doesn’t offer much about their time apart. But she made a series of films about him in the early 1990s: Jacquot de Nantes (1991), a fictionalization of Demy’s childhood memories, which was filmed as he was dying; Les demoiselles ont eu 25 ans (1993), a documentary about The Young Girls of Rochefort; and The World of Jacques Demy (1995), a documentary about his adult life and work. These films are personal in the way you might expect them to be, and possessive of his memory in a way you might not. They’re sweet to the point of feeling terminal. Varda’s projects since the Demy films, however—a film-memoir (The Beaches of Agnès), two documentaries about gleaners (The Gleaners and I, The Gleaners and I: Two Years Later), a film comprised of three shorts loosely tied by photography as a theme (Cinévardaphoto), and an art installation/documentary on widows (Quelques veuves de Noirmoutier)—have been more interesting. Having ceded his place as Varda’s explicit subject, Demy lingers in this recent work, but only as a phantom presence or a handsome face. These late films offer no sense that you can catch a given person or place or feeling through narrative filmmaking. Varda’s earlier films acknowledged loss of memory as a problem insofar as they were positioned against such loss. But in late Varda forgetting becomes a structuring mechanism and a stylistic impetus: memory takes shape collectively, so it depends on the stories of others. 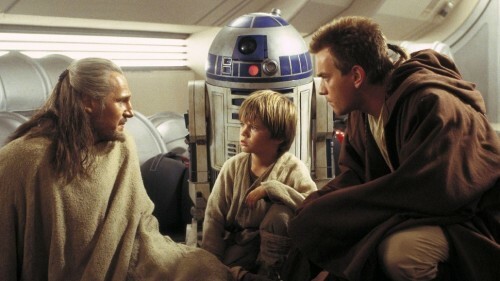 It is shared and adjusted through formal techniques of cinema like framing and editing. This was the promise of Daguerréotypes. But where Daguerréotypes attempts to document in the face of memory’s limits, Varda’s late films push the connection between cinema and memory to its logical endpoint, taking this troubled relationship as its subject. This new approach results in films that disregard the opposition between film and documentary, because when memory fails, we create fiction to take its place. Varda’s late works are shot digitally, often on a handheld camera, and they’re spontaneous in their construction, mimicking the memory of the aging filmmaker. They’re often shaky and improvised as a result. The Gleaners and I (2000) is Varda’s first late film. It is about people in France who scavenge vegetables and other discarded objects, and it flaunts a fluid, intrapersonal approach to memory. In one memorable shot, Varda is in a van headed toward the countryside. She’s filming the trucks as they pass alongside her. “Again one hand filming the other hand,” she says, “and more trucks. I’d like to capture them. To retain things passing? No, just for play.” Putting up her fingers to frame the trucks that drive by, she crops them smaller and smaller, until she closes her fist and the trucks are no longer there. Then she does it again. And again, and again. Varda frames the trucks and then shuts them out. The shot is at once a nod to her meticulous sense of framing and a testament to her new delight in filming what she can’t control. More than that, it’s a comment on the planned spontaneity that makes so many of Varda’s late films recognizable as such: while acknowledging, as always, the labor that goes into each take, she knows how to exploit good fortune and, increasingly, to let her subject go. It’s a strange scene—the only one I can think of in Varda’s oeuvre where she seems defensive, even a bit stodgy. The activist Fonteneau had wanted a document; she had given him an archival image, and he wasn’t satisfied. Yet the scene made it into the film. Since then, Varda has tried to replace gleaning with a better metaphor. In her documentary “Ydessa, the Bears and Etc.” (2004), which was released as part of Cinévardaphoto, she puts forth the idea of film as an archive of negative space, a way of recording what is already lost. “Ydessa” is about Ydessa Hendeles, a thin, orange-haired curator from Canada who uses World War II-era photos of people with teddy bears to wallpaper a large gallery from floor to ceiling, leaving the gallery’s other room bare save for Maurizio Cattelan’s “Him,” a sculpture of Hitler, kneeling. This second room is meant to commemorate the teddy bear photos that would have been lost in the Holocaust. Varda loves Hendeles’s work, but she appears to be unsatisfied with Hendeles’s descriptions of the exhibit, so she takes over narrating duties herself. The film is one of Varda’s weakest, with Varda coming across as uncharacteristically heavy-handed. If the tension between Varda’s subject and her desire to incorporate herself began to emerge in Two Years Later, in this short it’s hard to miss. Quelques veuves de Noirmoutier (2006) is a feature-length adaptation of her installation for the Martine Aboucaya gallery in Paris. It proves that Varda is better when the connections between her and the people around her are clear—when she’s dealing in her own memories. There can be no doubt about the propriety of Varda’s presence in this film, which is series of interviews with widows from Noirmoutier, an island off France’s western coast where Varda and Demy spent vacations together. Rather than narrating, Varda asks questions off camera until it’s time for her own interview, for which she sits on the beach next to an empty chair. The camera keeps close to her face, and Varda looks ready to cry before cutting to footage of Demy, whom she filmed at Noirmoutier before his death. He looks into the camera, smiling and frail. This is late Varda at her best and most poignant, and it makes a fine counterpart to Varda’s next film, The Beaches of Agnès, a memoir. If in Quelques veuves, Varda was at a loss for words, in Beaches she seems to be culling from an excess. The end product of Beaches looks like a history in which the parts—production assistants, Fonteneau gleaning parsley, Demy, Chris Marker, Varda’s mother—can’t help but overwhelm Varda’s work. This film that blurs the boundaries between fiction and documentary becomes for Varda a way not simply to house a lifetime of memories, but to thematize them as she ages and they fade. It is certainly the most consciously “late” of Varda’s films; in it, she is very aware of the bits and pieces of other people’s lives she assimilates. Like Resnais and Rivette today, who are both in their eighties like she is, Varda has reached a point where a great filmmaker’s work is at its most poignant and sophisticated about the relationship between film and time, film and endings. Varda’s films have long contemplated the idea of her own death as well as the deaths of others, and she speaks in The Beaches of Agnès about the charm of those close to her who have lost their memories: her mother before she died, a childhood friend who now spends her days reciting Valéry and Racine. Varda has said in interviews that she may be starting to lose her own memory, but she doesn’t seem to regret it much. It is her final, inevitable working through of the promise held by Madame Blue Thistle. If these elements of her work have become more refined, they’ve still been present in different ways since she made her first feature, La Pointe Courte, in 1955, a seaside film about a young couple reflecting on and trying to repair their love. Maybe that’s why she was called the grandmother of the New Wave before she was even thirty.